So I ordered this Sesame Ginger Egg Fried Rice instead. And did not disappoint, as it is very fragrant too. 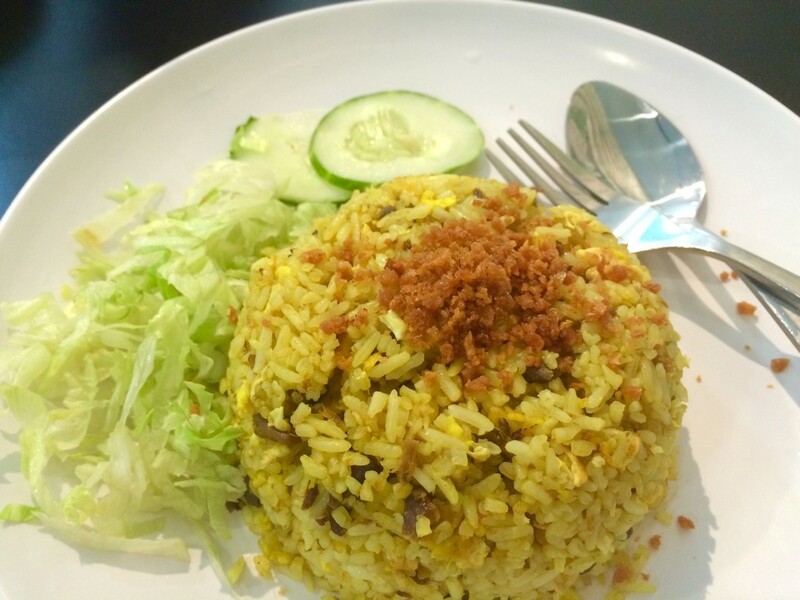 I think they used Tumeric 黄姜 to fried the rice, as it was full of turmeric aroma. 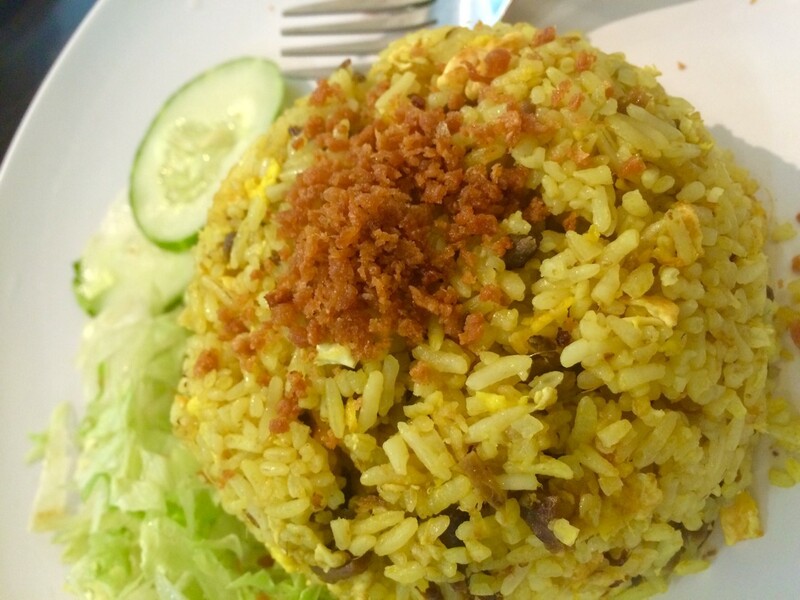 On top of the rice, they sprinkled some fried bread crumbs to replace fried garlic or onion. In the fried rice, I can find many small pieces of mock salted fish. It wasn't stated in the menu though. If you dislike mock salted fish, maybe you can get them to replace it with some other ingredients. I find it a bit salty to my liking, but luckily the fried rice comes with shredded veggies, so it was neutralised when eat with the veggies. 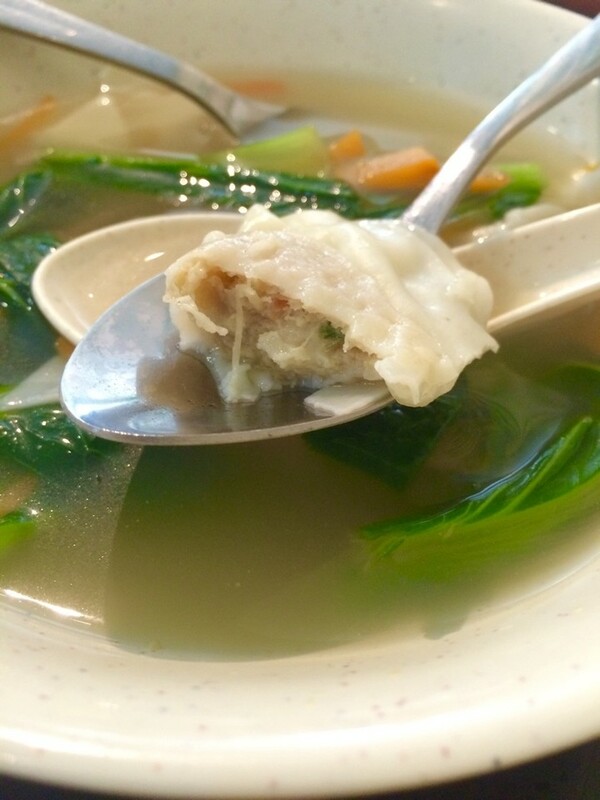 Since I couldn't order Hakka Noodles with Dumplings, I ordered a Dumpling Soup instead, just to try the dumplings. It has 3 dumplings in the soup and lots of veggies in the clear soup. I can taste sengkuang, parsley, carrots, black fungus etc. in the dumpling paste, not bad for a dumpling. Not forget to mention that the clear soup is sweet and delicious, which I think they used sugar canes to boil it. Definitely no MSG, as I didn't taste it at all. That's unique, using fried breadcrumbs to replace onions! Haha... I'm a good candidate for their salty salted fish! 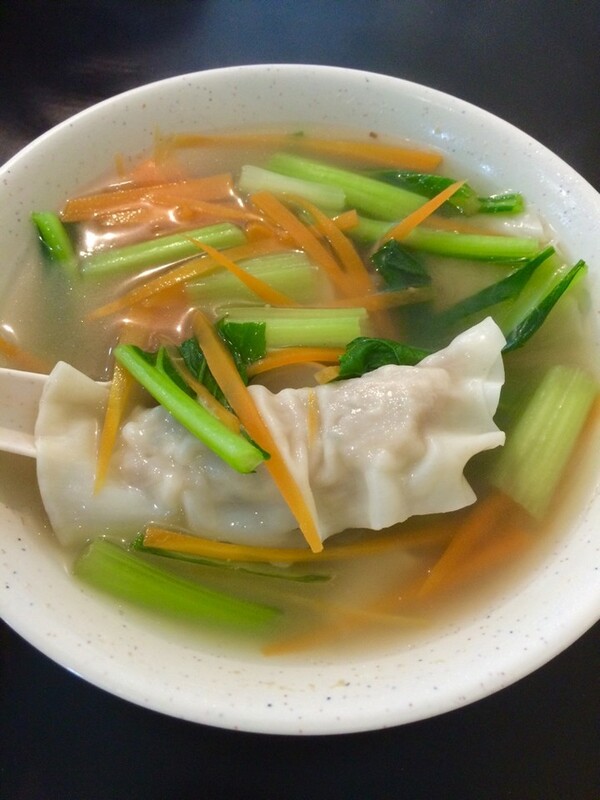 Their dumplings look nice, especially in a bowl of soup with so much vegetables. 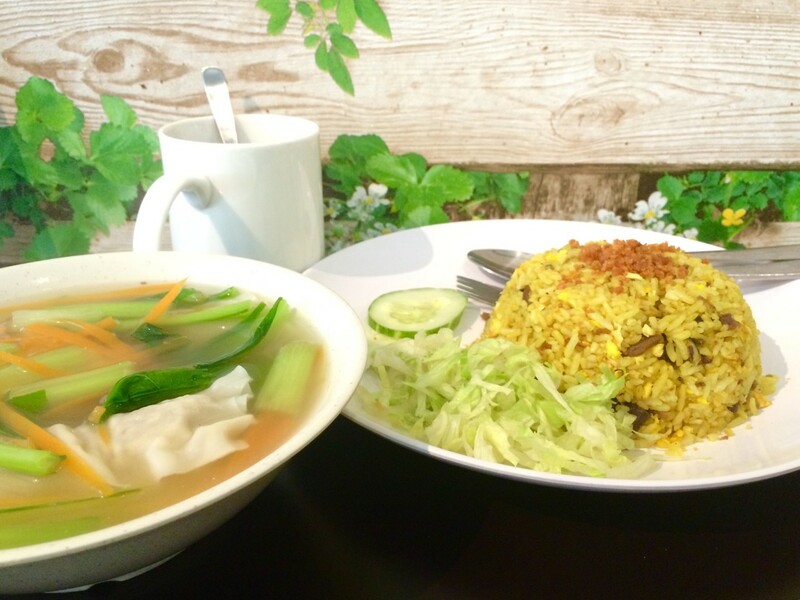 Nicely complements your fried rice!